At Colorado Proud Heating and Cooling, we are a licensed and insured, full service HVAC company serving the Boulder County area. We provide maintenance, service, repair and installation of any needed Heating and cooling equipment. Located in Firestone, we are a local and family owned business. With 20 years of HVAC experience in the diverse climate of Colorado, paired with a strong background in business management and customer service, we are dedicated to giving each and every customer the absolute best experience possible. Don’t wait until there is a problem to look for a reliable service company. 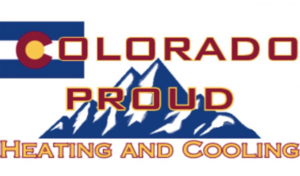 If its been a while since you have had your systems checked, or things just aren’t cooling or heating as well as they used to, call us today at Colorado Proud. Where we are PROUD to provide honest, quality service at affordable prices.